1. Research is showing that today’s marketplace is demanding an increase in project management certification. Holding a certification and having the letters PMP, CAPM, PgMP, PMI-RMP or PMI-SP behind your name gives candidates access to greater job prospects and thereby places them in a higher salary bracket. 2. Project management, however, still remains a business skill that is acquired through experience combined with an internationally recognized project management certification, such as Project Management Professional (PMP) from the Project Management Institute (PMI). The PMI certification currently has the largest footprint and is represented in 238 countries. 3. Certifications such as the PMP help unify teams as each member speaks the same language and uses identical processes when executing projects. This contributes to greater project performance. 4. Project management certification is also important from a governance perspective as certified members sign a code of professional conduct. This automatically provides the employer with confidence that the certified professional acts with integrity. In order to become a project manager, you must acquire at least a bachelor’s degree in business management; however, you can also get a bachelor’s degree in a specific area, such as marketing, engineering or computer science, depending on what type of project manager you would like to become, such as IT project manager or engineering project manager. Some colleges and universities also have project management or organizational management programs that you can participate in. You can continue your education and build up your credentials after acquiring your bachelor’s degree by participating in a program that offers a project management certificate. 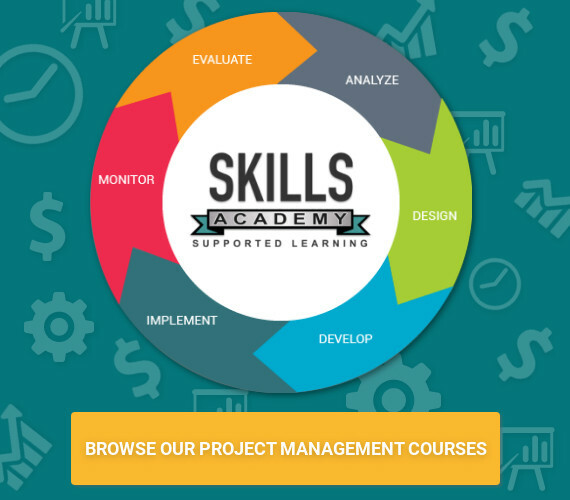 Some project management certificate programs are also available online, and credits received in a certificate program can be used for graduate-level project management programs depending on the school and program. You can also get a certificate through an association such as Project Management Professional. In order to receive credentials through an association, you need to meet specific education and experience requirements along with passing a written exam. Our Project Management courses are designed to teach you the fundamental skills, principles and processes that are required for effective project management. Depending on which course you choose to study, you might also learn how to use project management software programs such as Microsoft Project. While this course on its own will NOT result in your earning the PMP, it will satisfy the requirement of 35 hours of project management education that is a prerequisite for entry to the PMP exam. To write the PMP exam, you will have to apply to the Project Management Institute (PMI). With Skills Academy you can rest assured knowing that you will receive all the support you need to complete your course successfully, you will receive access to one of the largest Online Study Groups dedicated to Project Management where you will be able to connect with and exchange valuable course related information with study buddies, in addition to that, you will receive all the support you need from our Course Specific Professionals who will be available to guide you and answer any questions related to the course you have chosen to partake in, our courses are always updated so that we can supply you with the latest information surrounding Project Management. Skills Academy helps you study at home or in your place of work. You can study where you want. And you can study when you have the time, over a lunch-break or even on the train on your way to work. You can trust us to remain in contact right through your studies. We will help, support and encourage you!